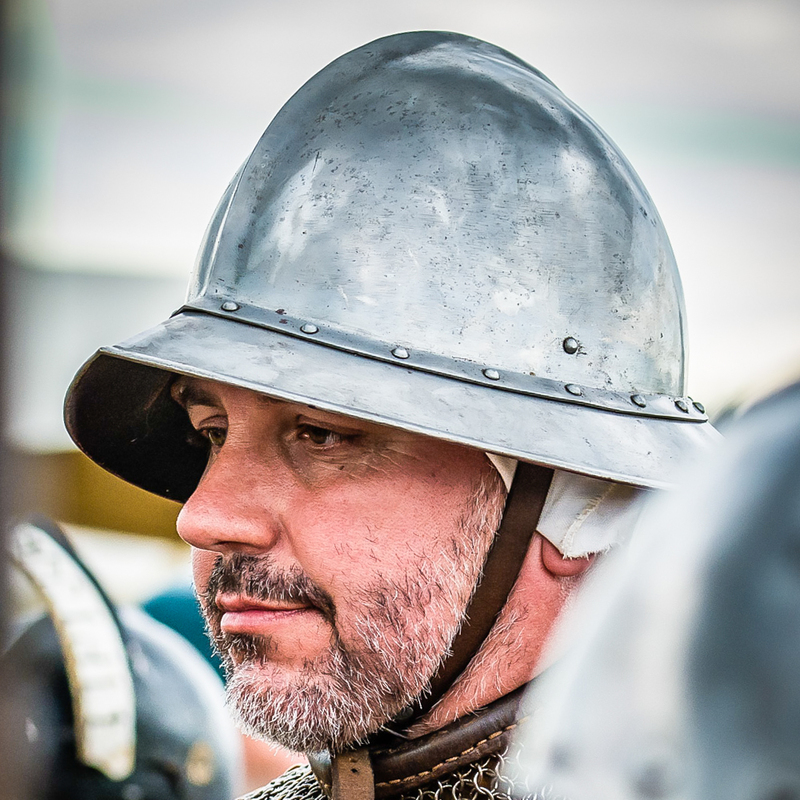 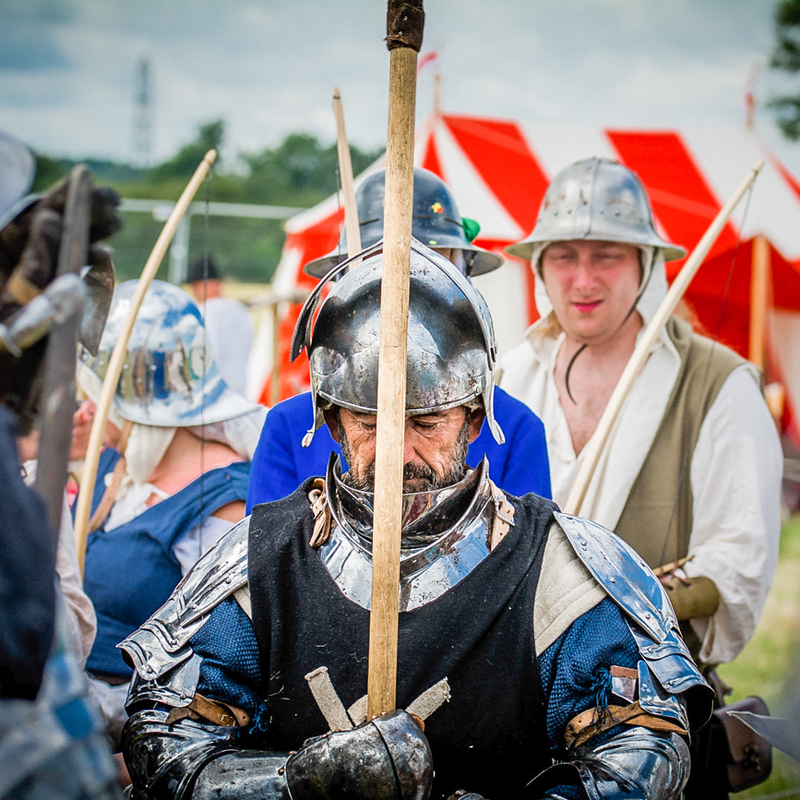 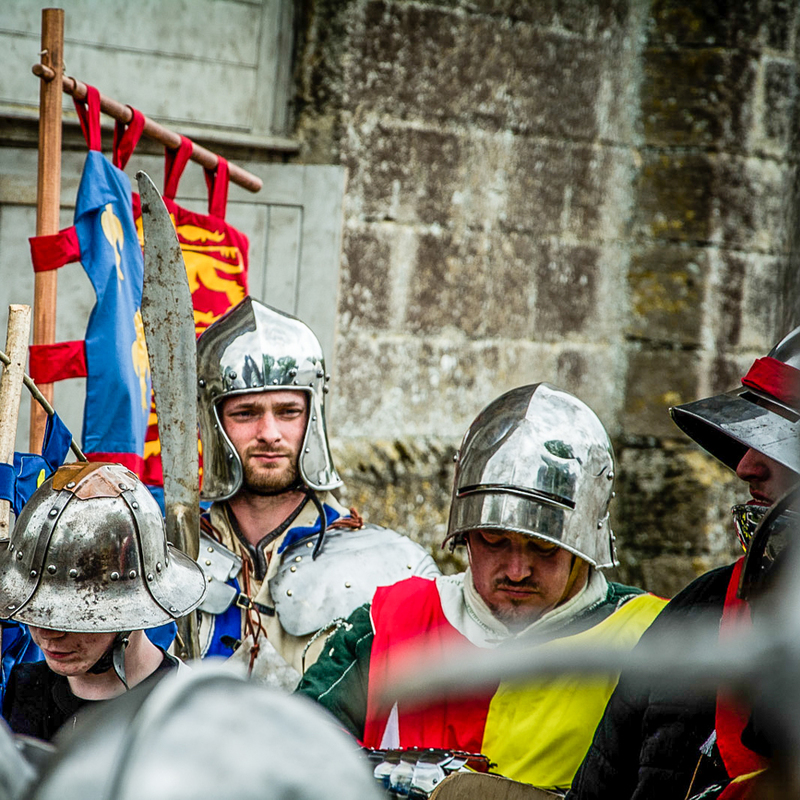 The fighters of the Medieval Siege Society represent historical retinues of the fifteenth Century who actually took part in the Wars of the Roses and Hundred Years War. 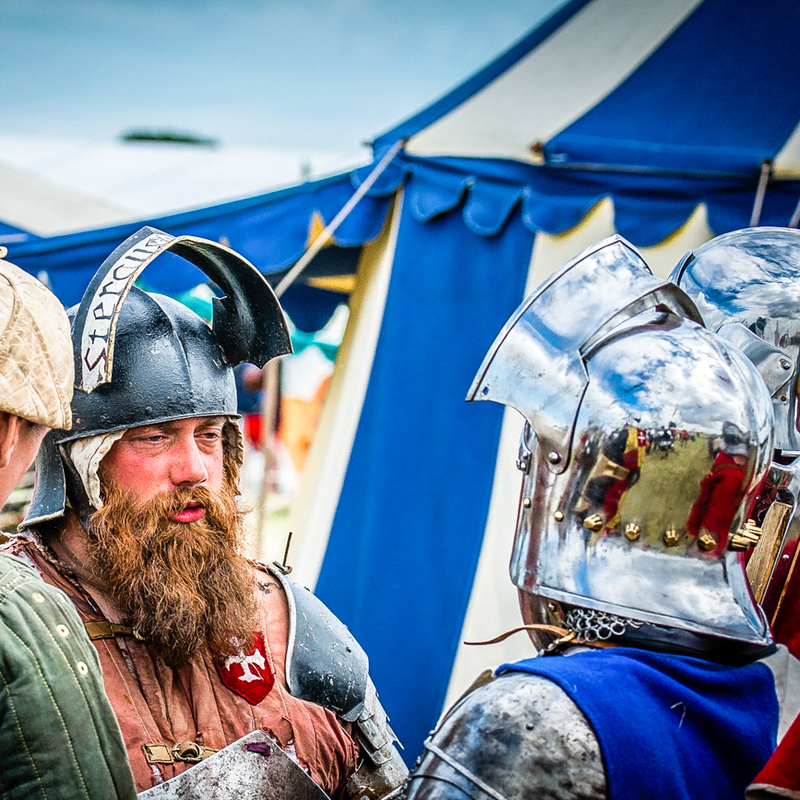 We portray every man and woman from lowly serf to noble knight, even kings and queens! 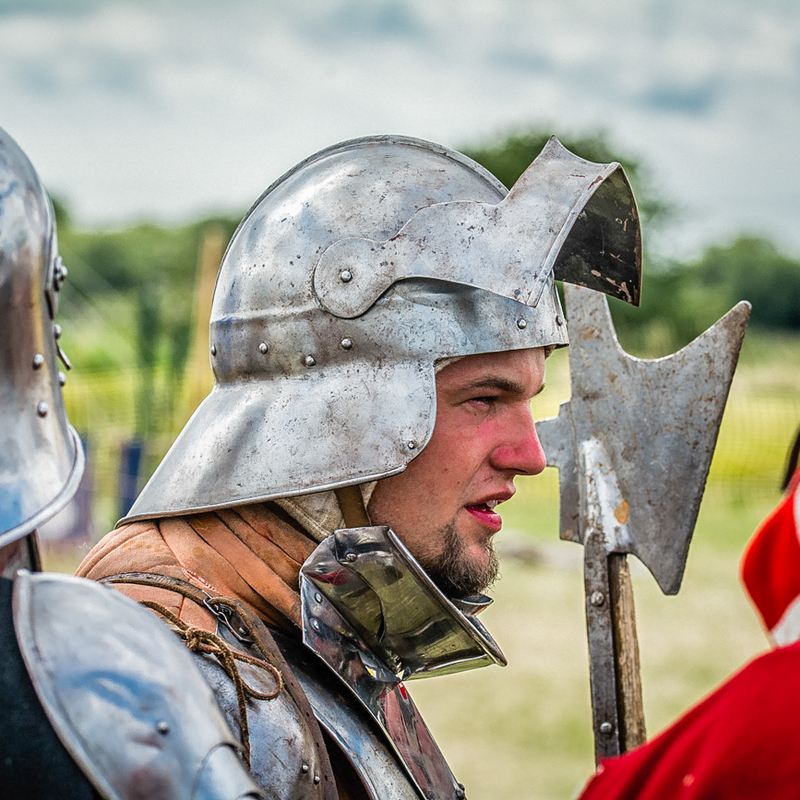 Weapons typically used at this point in the fifteenth century were Sword and Buckler, Bills, Spears, Poll Axes and Long swords. 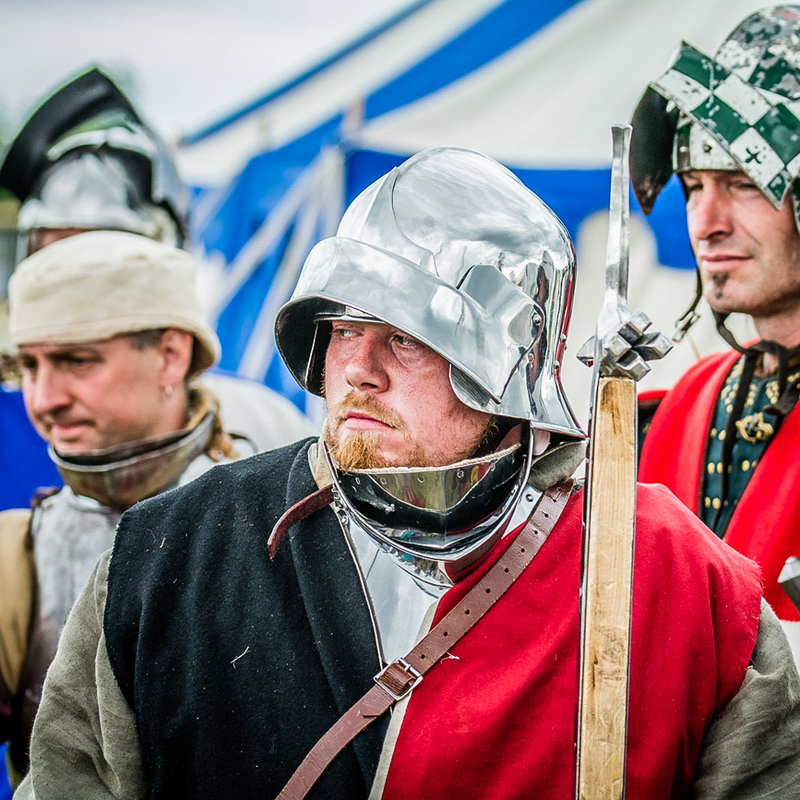 You will see our fighters using a wide variety of these and battlefield tactics during the battles and skirmishes. 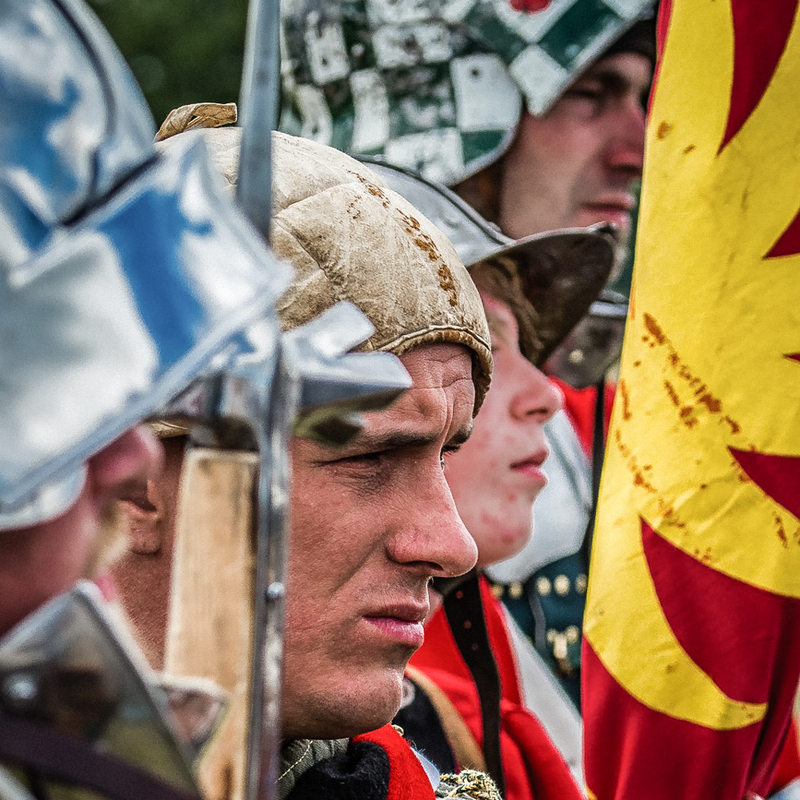 Other than the battles & skirmishes, we also do other types of display. 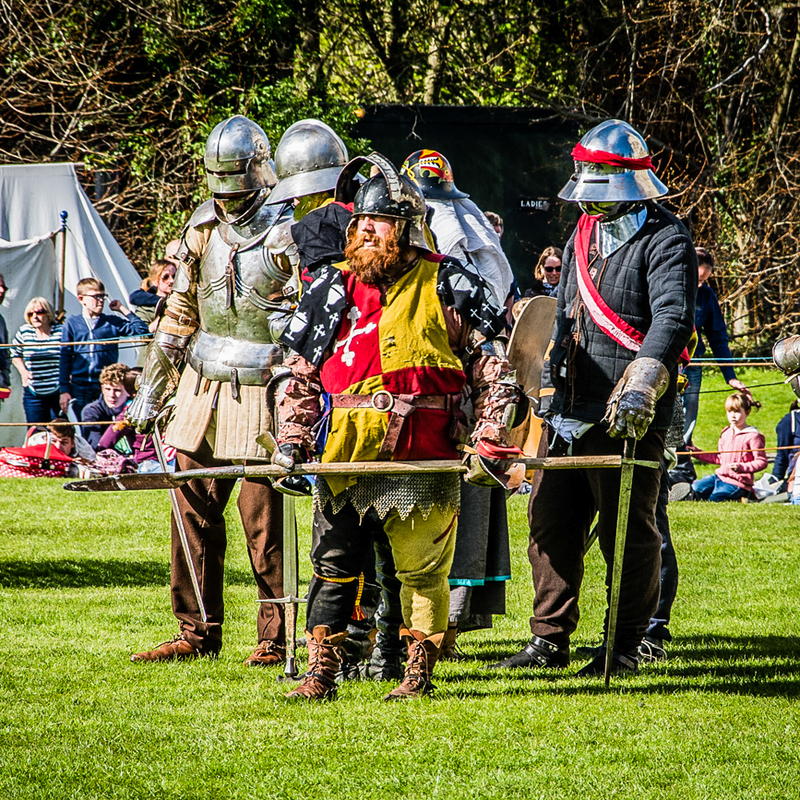 A detailed demonstration of medieval armour based around a squire dressing a fully armed knight for battle. 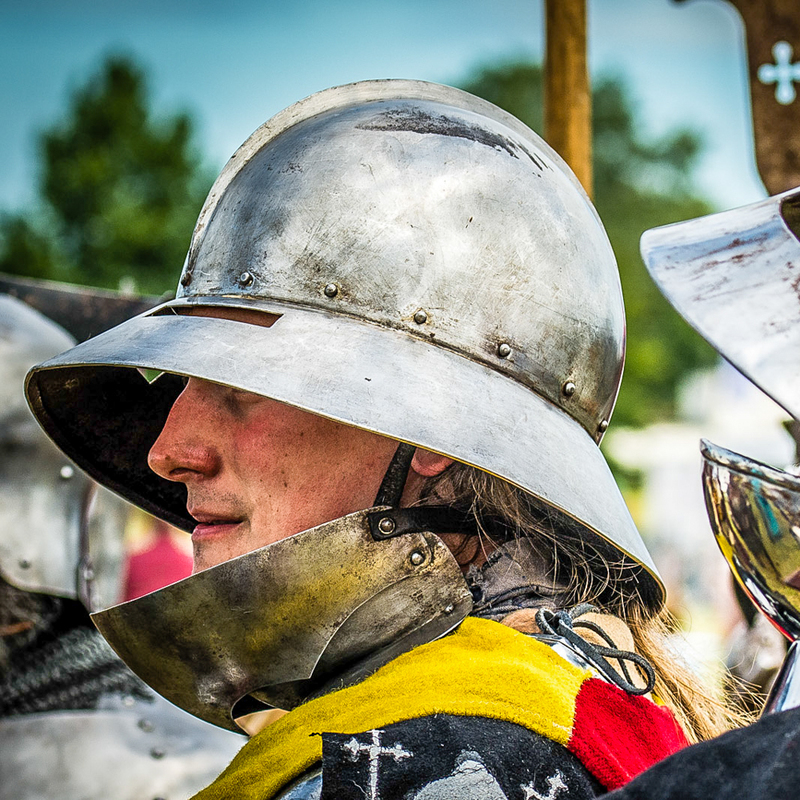 A demonstration of authentic historical fighting techniques using swords, daggers, spears, shields and poleaxes all based on fifteenth century manuscripts. 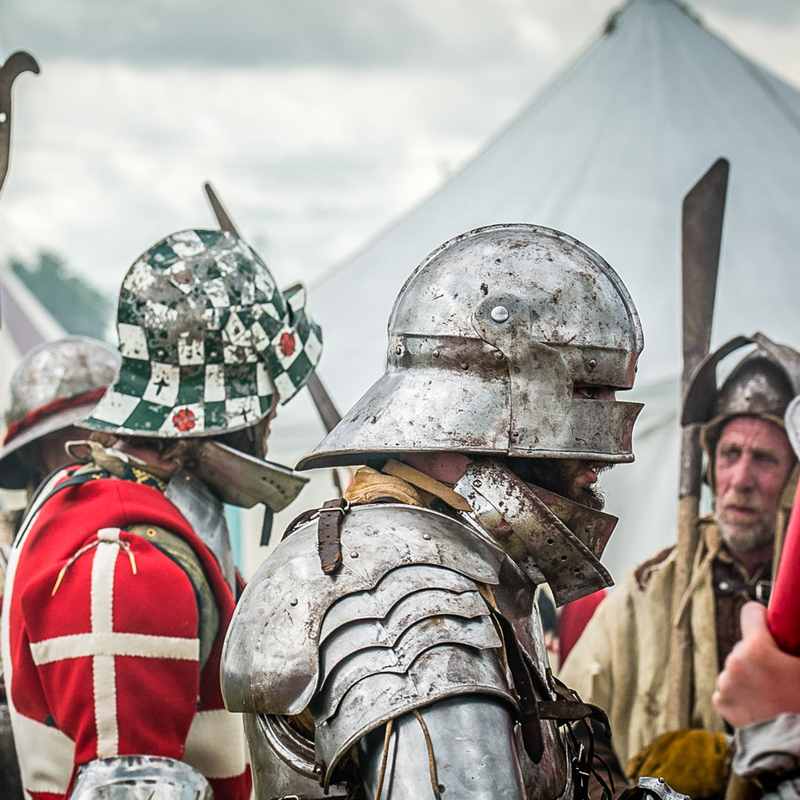 Often held prior to raising an army the Commission of Array introduces the historical context of the battle and the individual units involved.